God has a marvelous plan for His church. The prophets predicted a time when salvation, righteousness, peace, joy, rejoicing, and redemption will come to the world. 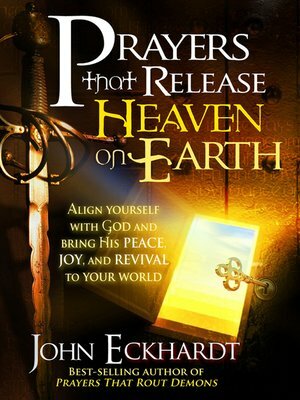 Prayers That Release Heaven on Earth is your handbook for advancing the kingdom of God here and now. Combining powerful prayers with decrees taken from Scripture, it helps you understand God's plan and keeps your heart and mind focused on Him.